The BCCI Ombudsman Justice DK Jain has asked former India captain Sourav Ganguly to clear his stand on allegations of conflict of interest in his role as Delhi Capitals advisor while serving as president of Cricket Association of Bengal. New Delhi: The BCCI Ombudsman Justice DK Jain has asked former India captain Sourav Ganguly to clear his stand on allegations of conflict of interest in his role as Delhi Capitals advisor while serving as president of Cricket Association of Bengal. 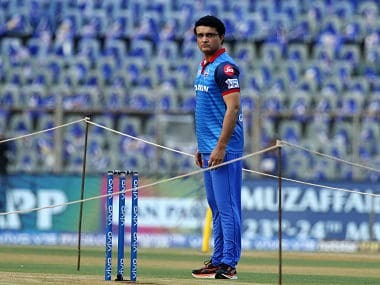 There have been three specific complaints filed by cricket fans Bhaswati Santua, Ranjit Seal and Abhijeet Mukherjee on how Ganguly as CAB President can sit in Delhi Capitals dug out during IPL match against KKR at Eden Gardens on 12 April. "Yes, I have asked Sourav Ganguly to respond to the complaints with regards to Conflict of Interest as DC advisor and state association president," Justice Jain told PTI on Tuesday. "He has been given seven days to file his reply," Justice Jain added. However, there could be some relief to Ganguly as the Ombudsman, who is also the Ethics Officer of the BCCI, is not taking into account the April 12 match which is a bone of contention. "I am not concerned about any specific match. It's a general complaint about his alleged Conflict of Interest and he needs to clear his stand," said Jain. Ganguly's detractors in the BCCI believe that Ganguly as CAB President will have a control on local curator with no neutral curator being used this time.